Trade volume between China and countries along the Belt and Road Initiative totaled $1.3 trillion last year, China's Ministry of Commerce (MOC) said last week. This was year-on-year growth of 16.3 percent, 3.7 percentage points higher than China's trade growth in 2018. China exported goods worth $705 billion to belt and road countries last year, up 10.9 percent year-on-year, while importing goods from them worth $563 billion, up 23.9 percent year-on-year. Local media reports state that Chinese firms invested over $15 billion in non-financial sectors in belt and road countries countries last year, up 8.9 percent year-on-year, while receiving $6 billion in investment from them, up 11.9 percent. Merchandise trade between China and Belt and Road countries is predicted to grow by $117 billion this year, according to trade credit insurer Euler Hermes. The report estimates that this will add 0.3 percent to global trade and 0.1 percent to global growth. The estimates on growth come as China continues to expand its Belt and Road initiatives. The nation recently advanced connectivity with a new trade corridor aimed at facilitating access to the sea from China's western regions. The China-Singapore land-sea trade corridor links 155 ports in 71 countries and regions worldwide, reports China Daily. 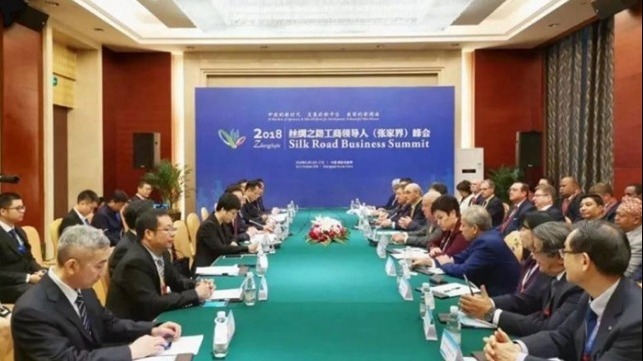 It was jointly built by western Chinese provinces and ASEAN countries under the framework of the China-Singapore (Chongqing) Demonstration Initiative on Strategic Connectivity. With Chongqing as the transportation hub, the corridor uses ports in Guangxi's Beibu Gulf to reach ports in Singapore and other ASEAN countries and links China-Europe freight trains launched from many western Chinese cities before heading for Central Asia, South Asia and Europe.